Looking for a new a challenge? Come and play rugby for South Manchester's finest rugby club! We are a social South Manchester club, and we welcome players of all ages and ability levels. Whether you're completely new to the game or a grizzled vet seeking pastures new you'll be welcomed at our friendly club. With 1st XV, 2nd XV and 3rd XV matches every Saturday, we have a level for everyone! What better way to get out of the house and get yourself fit? And with a thriving social scene it won't be long before you're bonding with your new mates over a few beers! 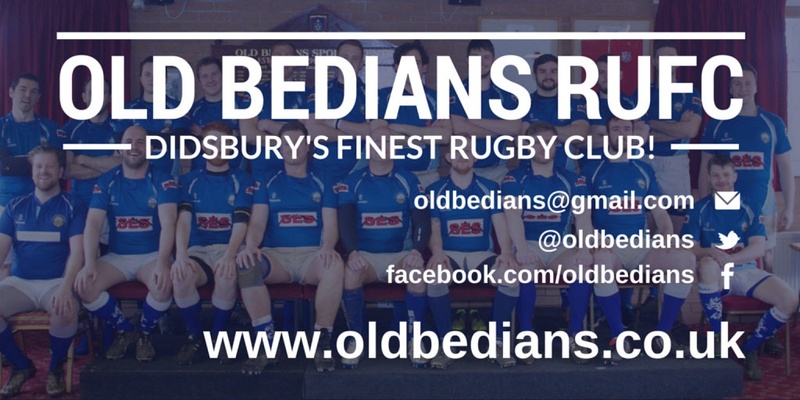 You can also email the club at oldbedians@gmail.com, or find us on Facebook or Twitter @oldbedians.